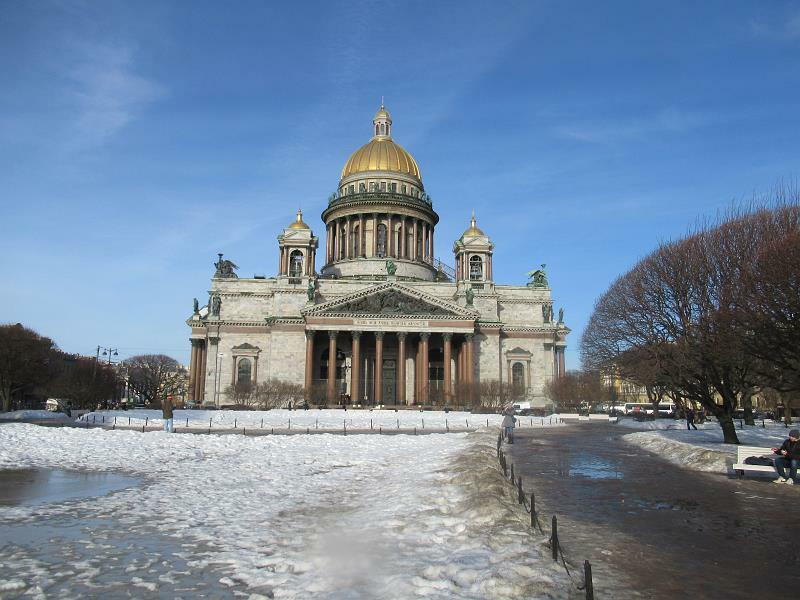 St Isaac Cathedral in Saint Petersburg, Russia. 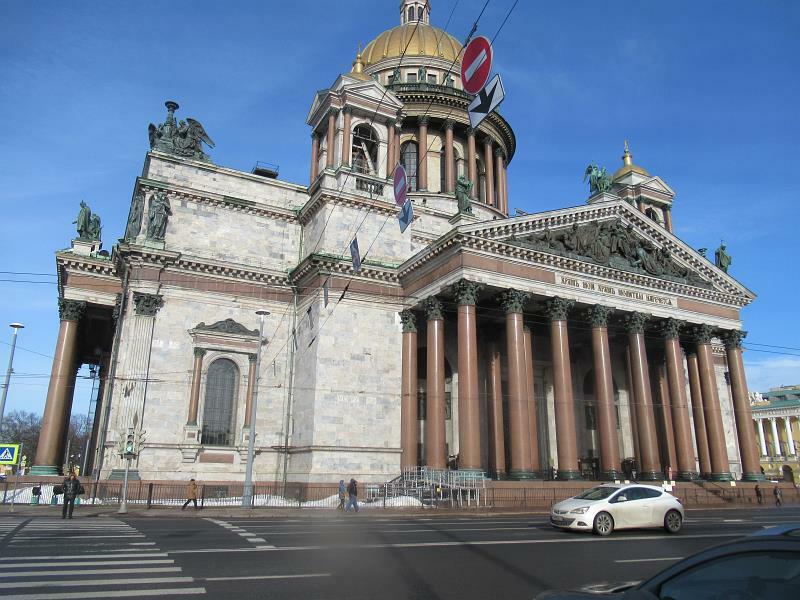 St. Isaac Cathedral is located appropriate at S. Isaac square. 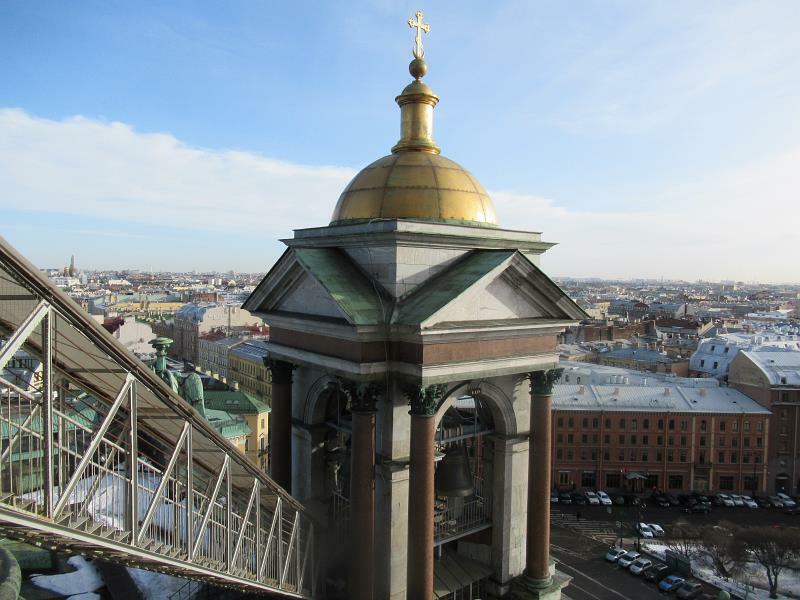 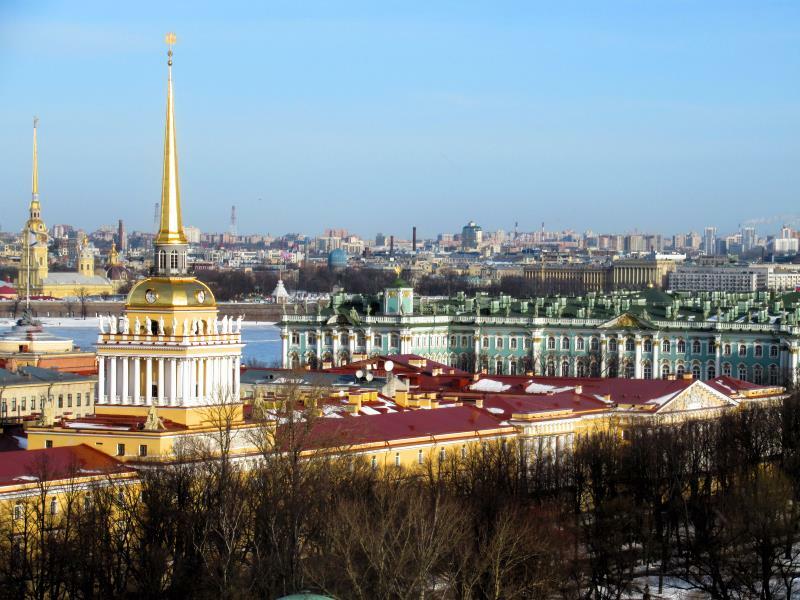 There is spiral stair to the colonnade around St. Isaac Cathedral located at 40 meters above the ground to see panorama of the Saint Petersburg. 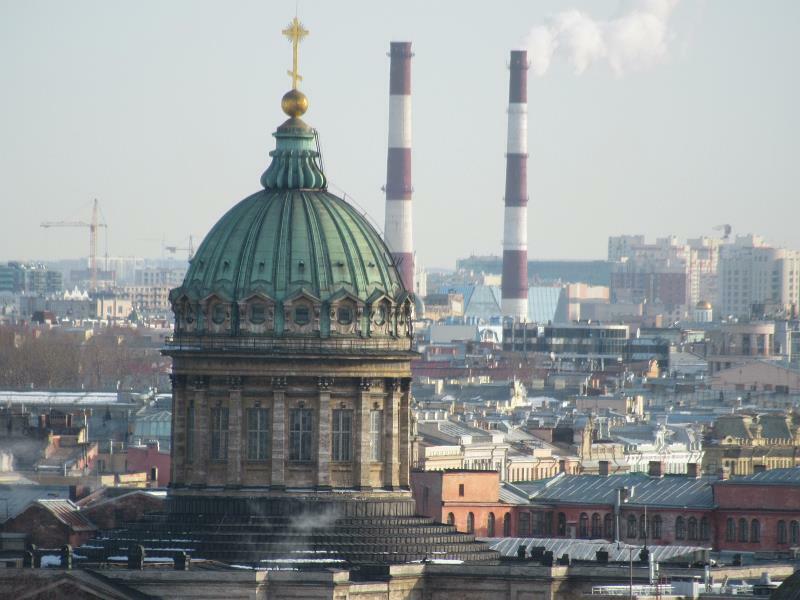 Other major cathedral as seen Kazan from St. Isaac Cathedral. 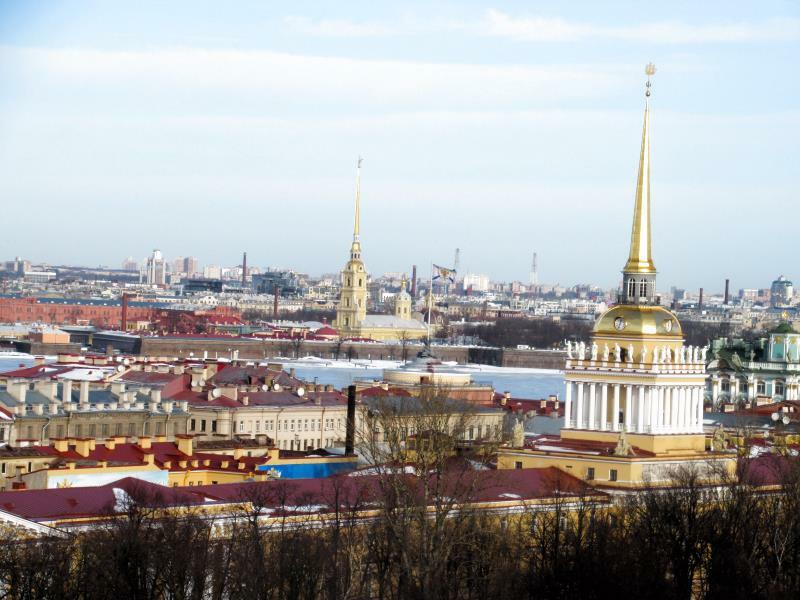 Admiralty, Peter and Paul Fortress and Winter Palace are all at one cadre. 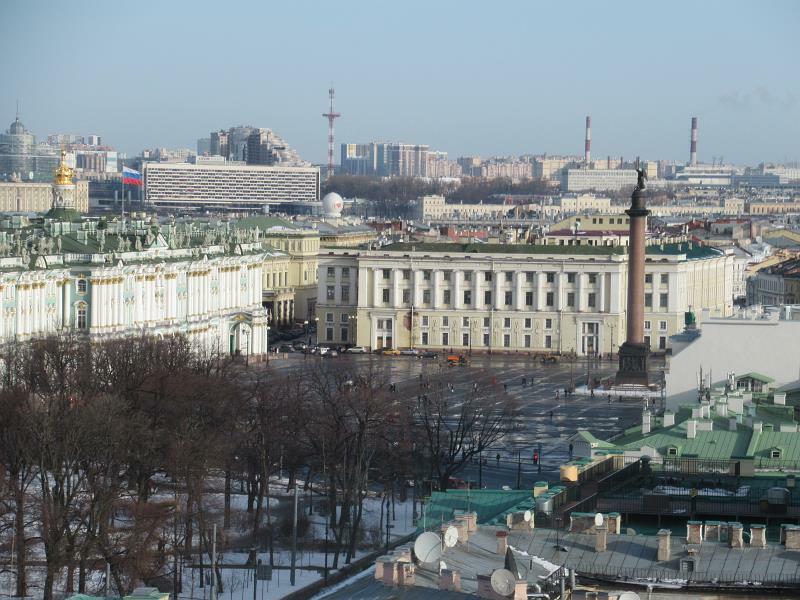 Alexander Column at Palace Square.. 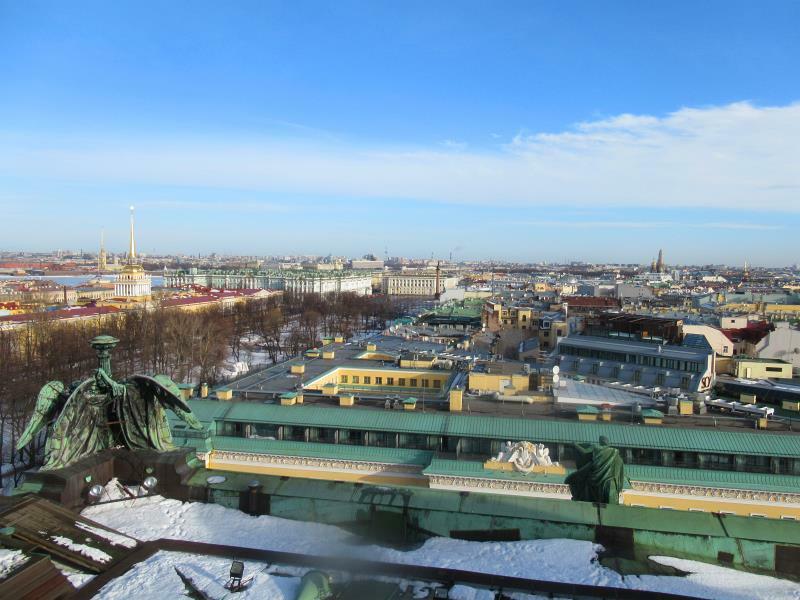 The top of Admiralty is almost at the same height as colonnade of St. Isaac Cathedral. 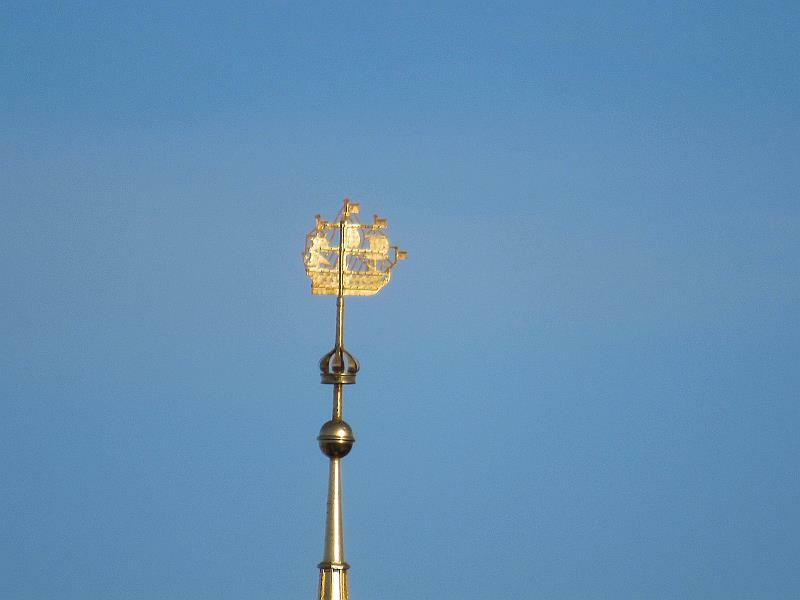 The Admiralty Korablic is as close neighbor object. 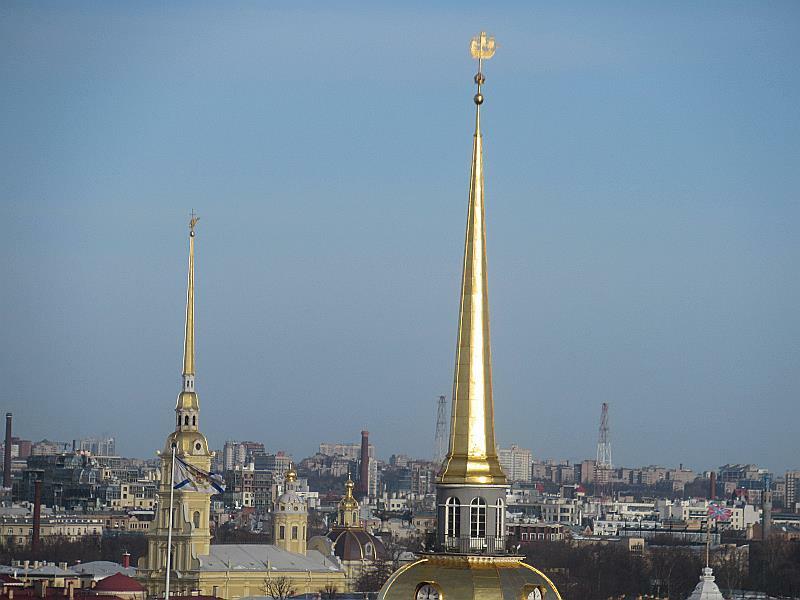 Admiralty and Peter and Paul Cathedral spires are similar iconic and famous. 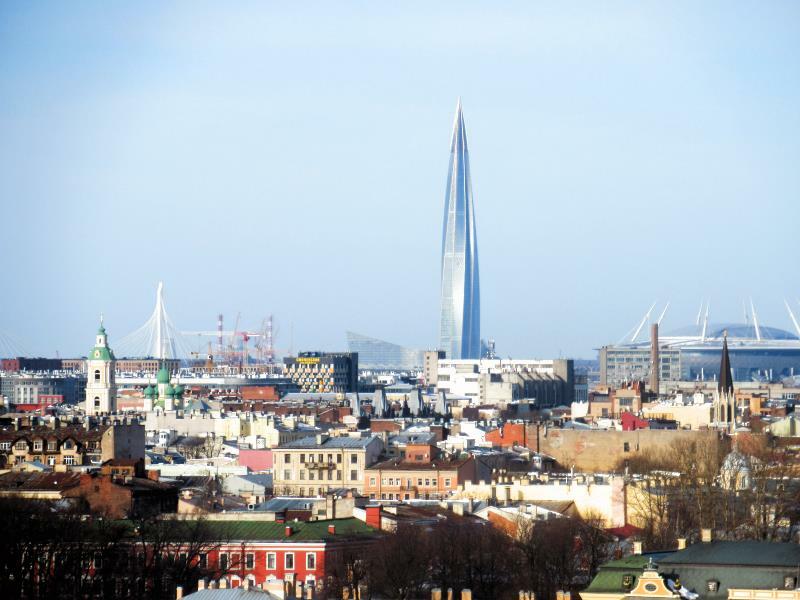 Gasprom skyscraper presents new feature to the Saint Petersburg skyline. 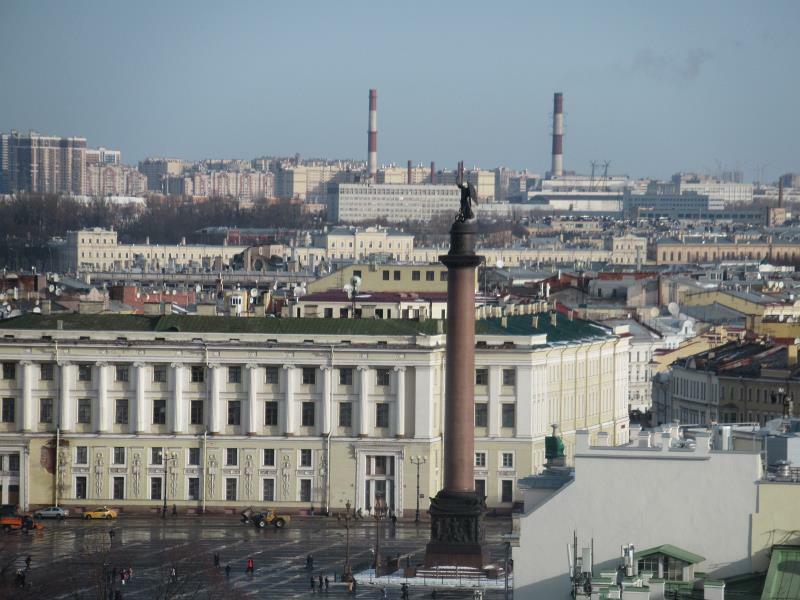 Good for the city it is not dominated historical center but quite at right position to add modern time taste. 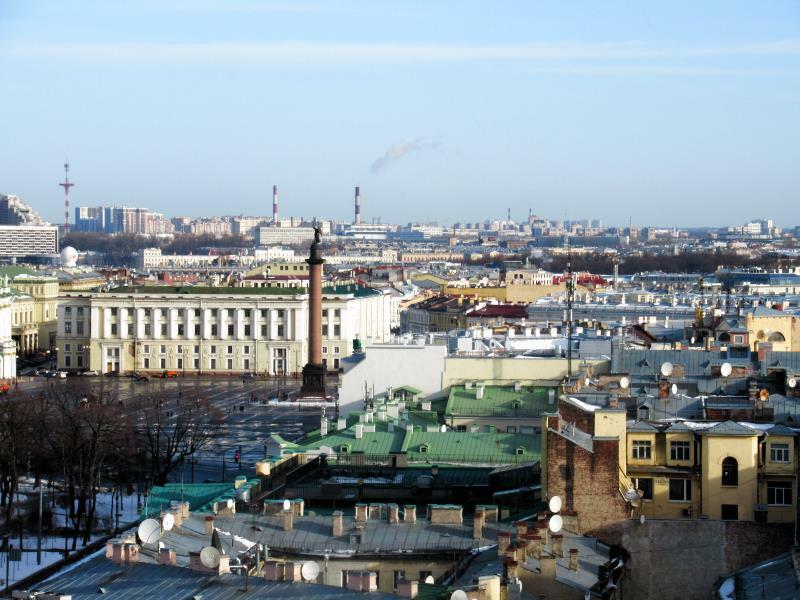 There are roofs of historical center of Saint Petersburg. 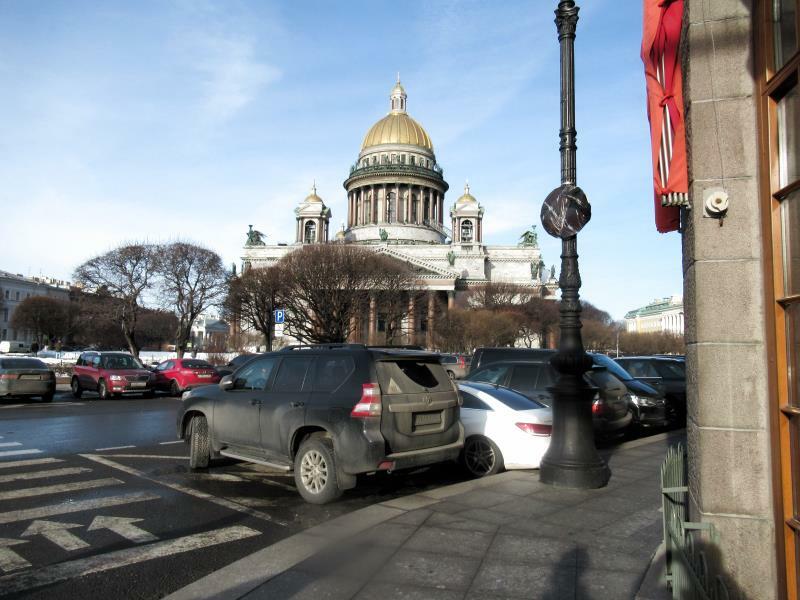 Outside stair to the colonnade of Saint Isaac Cathedral. 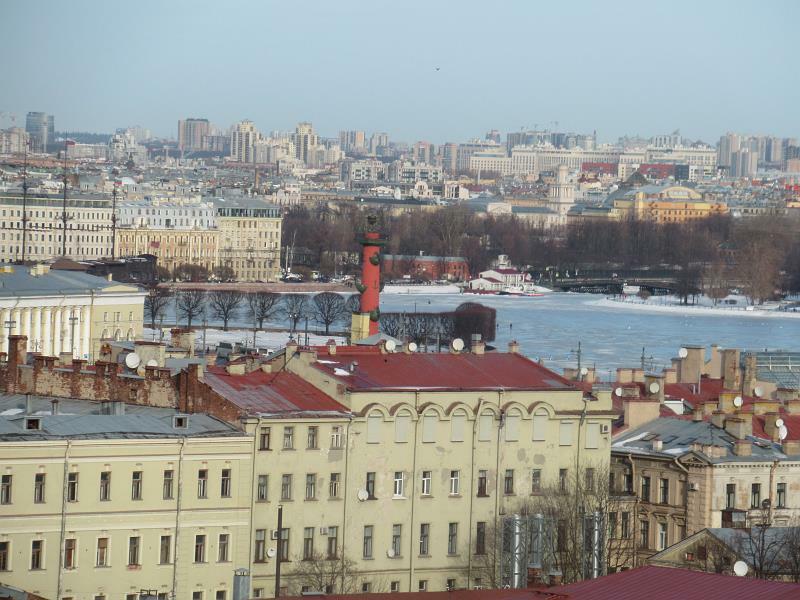 Vasilevsky Island from St. Isaac Cathedral. 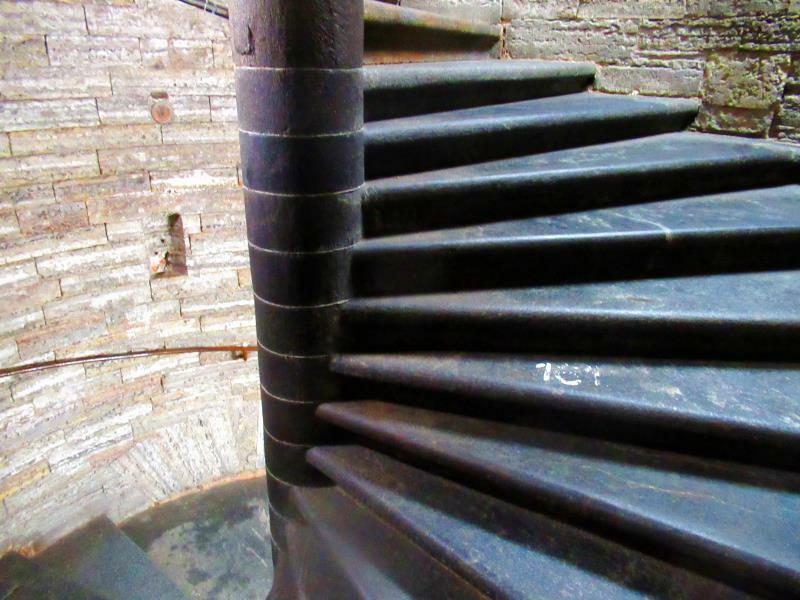 There is exit stair from the colonade. 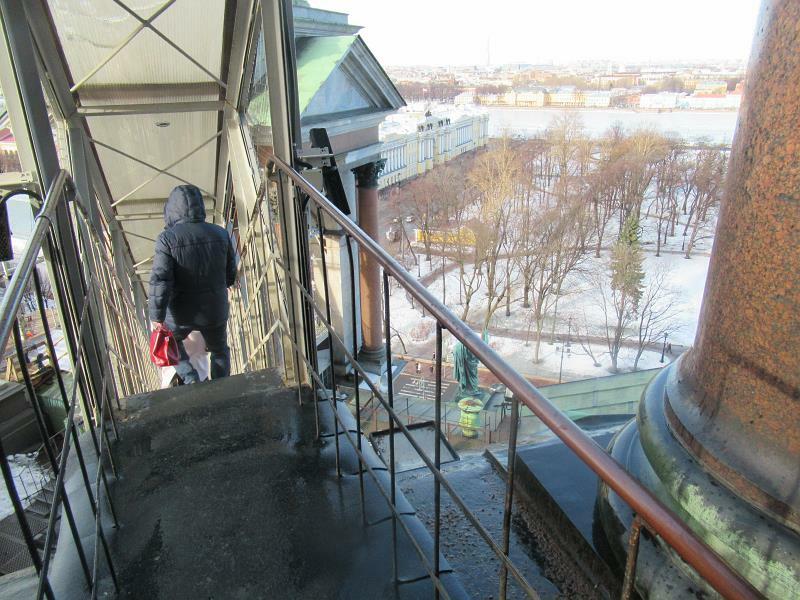 There is exit stair from the colonnade. 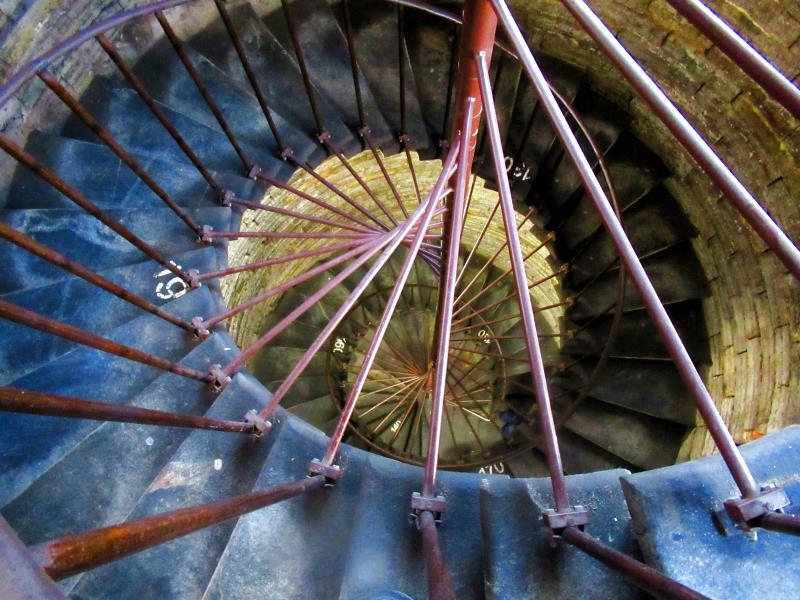 There is view down to spiral stair from colonade.